Meet Pride Guide Cristina Vintimilla. 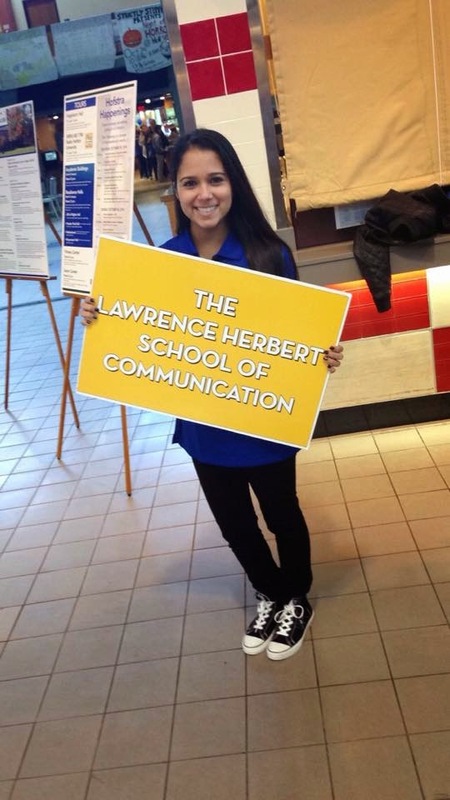 She’s a sophomore from Commack, Long Island, majoring in Journalism and minoring in Spanish, Business and Design. She talks about one of the best experiences during her time at Hofstra. Take it away, Cristina! 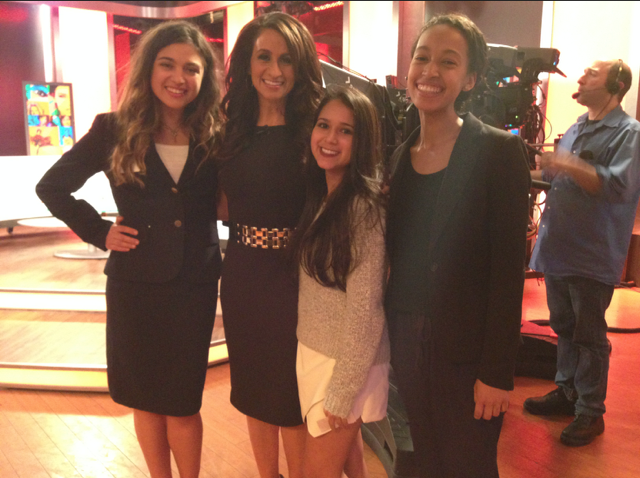 One of the coolest things I’ve been able to do thanks to Hofstra is visit Fox News headquarters in New York City. I attended the “Latinas: A Positive Force for Change” event held in October for Hispanic Heritage Month. Hofstra’s journalism chair sent out an invitation for the event and I was automatically attracted. Number one because I’m a Latina and two, Audrey Puente was attending. I’ve been watching Audrey Puente as a meteorologist since high school and it’s been one of my dreams to meet her! I had no idea what to expect when arriving at the event. I figured I would be seated in the back of the room and be unnoticed. Boy was I wrong! I was sitting third row and surrounded by news industry professionals. As an inspiring journalist, this was an awesome experience because I had the opportunity to network with these people. This event was a great opportunity and can put me a step ahead for future internships. Hofstra’s media connections and our proximity to NYC made this possible!